Mike Schwitter makes his Broadway debut as the vain warrior Lewis, who is third in line for the crown, in the Tony-winning revival of Pippin. “Lewis loves lifting weights. Lewis loves fighting. But most of all, Lewis loves Lewis.” The fun featured role means Schwitter gets to work a tambourine, dance with Charlotte d’Amboise and be super crushable for two hours. (And he understudies the title role!) 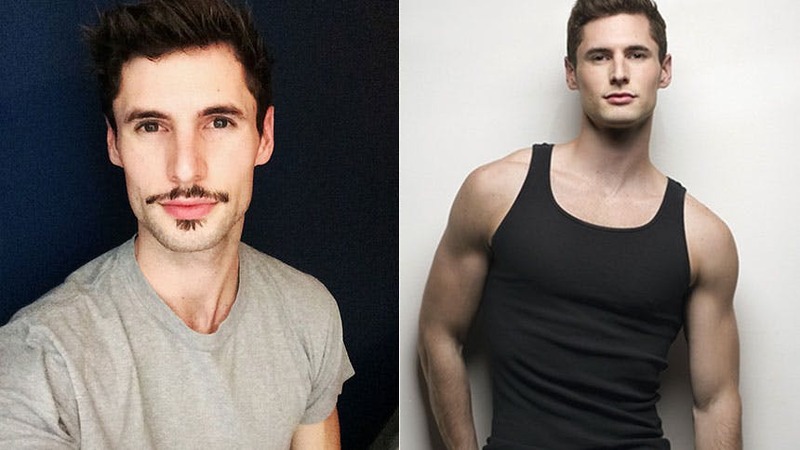 BroadwayBox caught with The Book of Mormon vet to chat about his new role in Pippin, going behind bars with Charlotte and The Lumberjack vs. the gym. So many good ones! I'm actually gonna go with one of my favorite movies in general, Inglourious Basterds. I like historical fiction, and Quentin Tarantino's writing/directing is gripping one second and hilarious the next. I joined the show pretty recently so I'm still getting used to the unbelievable things the acrobats do in this show. The Rola Bola balancing moment done by Orion Griffiths makes me nervous every night, but the guy nails it every time. I love to sing “Out There” from Hunchback — a beautiful collaboration between Schwartz and Menken. 1. My family; 2. Music; 3. Good weather. Oh gosh there would be so many. She's a rock star. I'd kill to do Chicago with her (get it?) but I'd love to see her as Aurora in Kiss of the Spider Woman. We didn't get much time off at school, but some nights after rehearsals, my friends and I would go get midnight sushi across town. Nights like those were my best memories in Cincy. “The “Lumberjack” from Wahi Diner in Washington Heights—eggs, pancakes, sausage, bacon and ham. Breakfast is my favorite part of the day. I don't have a secret, just try to maintain a steady routine and eat well (excluding all those Lumberjacks). I try to train high weight/low rep, but if I go a week skipping the gym I feel so guilty. Especially now that I'm surrounded by the best dancers and gymnasts on Broadway. I have to keep up! See Mike Schwitter spread a little a sunshine in 'Pippin' at Broadway’s Music Box Theatre.